As the 1960s moved onward, Jean-Luc Godard’s early style gave way to something new and different. Made in U.S.A. epitomizes a transitional phase. It is one of the most visually stunning of his films. Yet the plot, so much as there is a plot, evidences mostly a set of reflections on politics, society and, of course, cinema itself. Outlines of the script were adapted (without authorization) from Donald Westlake’s crime thriller pulp novel The Jugger (written under the pseudonym Richard Stark). Ostensibly, Paula Nelson (Anna Karina) is a reporter investigation the death of Richard P____ (last name always obscured or not given, but a reference to a communist figure). She maneuvers through a fictional French public housing project on the outskirts of Paris taking its name from the American East-coast casino town Atlantic City. Really, much of the content of the film makes allusions to the political scandal involving the French secret service allegedly abducting Moroccan revolutionary Mehdi Ben Barka — a leader in the Third World Movement (for general context, read Vijay Prashad’s The Darker Nations: A People’s History of the Third World), an associate of Che Guevara and Malcolm X, and someone compared to Frantz Fanon — and then torturing and murdering him. Godard drew explicit comparisons to Howard Hawks’ iconic film noir The Big Sleep as an influence on this film. Though Godard adds a sort of comic book feel, reminiscent ever so slightly of Frank Tashlin, another Godard favorite. The tone of the film is really its most striking feature. It never settles into anything comfortable. The characters drift in a state of confused inquiry. They look for clues, for answers, but they find nothing concrete. It is a very Hegelian sort of approach that requires engagement with reality, only to determine “truth”, as it were, in hindsight. Along the way, just some wonderful set pieces, like the main characters presenting overlapping monologues, Marianne Faithfull singing “As Tears Go By” a cappella in a bar, a tour through a warehouse of Hollywood movie advertising materials, Beethoven blasted out suddenly, a portable tape recorder replaying communist lessons spoken by Godard himself. And there is color everywhere. This is a magnificent film for color, commanded as immaculately as Michelangelo Antonioni’s Il deserto rosso [The Red Desert]. The only constant is a feeling expressed through a search for closure. But the search is purposeful. There are constant reminders of the crassness of Americanized consumerism in France, but before that can be overcome a sort of resolution of the old ways is entertained. That quality builds a bridge between Godard’s earlier works, with their explicit engagement with commercial Hollywood cinema, and his revolutionary filmmaking of the coming years. For instance, this effort can be said to come closer to embracing feminist elements than Godard’s early, somewhat more sexist work. Filmed in parallel with 2 ou 3 choses que je sais d’elle [2 or 3 Things I Know About Her] this is usually forgotten or considered the inferior of the two. Yet, it may actually be the better of them. 2 or 3 Things is explicit, almost didactic. To a tiring degree. Made in U.S.A. is allusory. It is a Godard fan’s film. A DVD edition, the first widespread distribution of the film in the United States some four decades after its French release, offers some valuable extras, including a short documentary (On the Cusp) with interviews of two Godard biographers, Richard Brody (Everything Is Cinema: The Working Life of Jean-Luc Godard) and Colin MacCabe (Godard: A Portrait of the Artist at Seventy), who add a wealth of information about the structure, content and context for the film. The advance theories about how certain plot elements Godard introduced were vaguely autobiographical. There is also another short documentary (A Made in U.S.A. Concordance) that attempts to catalog many of the the esoteric references to political and social events and persons in the film. The subtitle translations are described as “new and improved” but they do play somewhat loose with the dialogue, making it a bit more informal and casual than the original French at times. 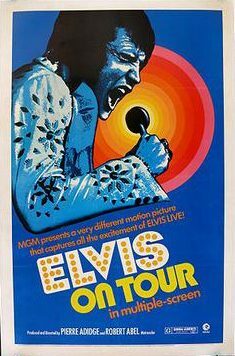 An unusual and innovative documentary that chronicles part of Elvis’ 1975 U.S. tour. It features a “multi-screen” format, with multiple moving images presented simultaneously. The crew filmed Elvis performing with multiple cameras, and the film frequently presents a given performance from multiple camera angles shown side-by-side, shots of Elvis interspersed with shots of the audience, and clips of similar performances from different shows presented together. A similar approach was used a few years later in The Longest Yard. This finds Elvis around the time he was just starting to decline. He had a successful show in Las Vegas, and had started to take that tour on the road. He did two shows a night, and the grind of doing a similar show for years on end was taking its toll. The performances in the film aren’t all great, but there are some good ones — particularly further in. The filmmakers demanded special access to Elvis, and that results in scenes that show him shuttled to and from shows, harangued by fans, and excerpts from a pre-tour interview. The filmmakers clearly have no real interest in Elvis’ music, but are looking in on the culture of his fans with a mixture of amusement and condescension. That’s fine, as far as it goes, because there is no narration or even titles throughout the movie. Mostly you just see a series of documentary footage clips, though the non-concert footage gravitates toward the craziest fans caught up in a vague cult of personality, without any reference to any discussion of the merits of the music. What’s interesting is that some of the rehearsal footage shows how much Elvis liked gospel music and how some of the stripped-down rehearsals sounded a bit more interesting that the grandiose treatments on this studio albums and in the live shows. By 1972, Elvis’ show had settled into a formula, doing mostly the same songs over and over. He and his band still play them remarkably well, considering. Yet the more intimate rehearsal performances sometimes reveal something that always seemed obscured on the albums and concerts of the era. L. Frank Baum’s Wizard of Oz series is often credited as being one of the most important fictional universes to emerge from America, or at least the first important one to break from European traditions of “fairy tales”. There were many, many books written about Oz, various theatrical productions, and many movies too. The success of the original printing of the book had as much to do with the format as the actual content. It was a full color book with text set in a stylized arrangement that interspersed it with illustrations by W.W. Denslow. Children’s books were not customarily printed so lavishly at the time, but the success of the first Oz book The Wonderful Wizard of Oz (1900) turned it into more or less an industry standard. Critics debated whether Baum’s or Denslow’s contributions were the basis for the book’s success–though most tend to unfairly overlook the publisher George M. Hill Company’s role in arranging the lavish printing. The credit given to Denslow caused a rift with Baum and the two ceased working together. Denslow even published separate illustrations related to Oz without Baum’s involvement. Following the smash success of the first book, Baum teamed up with a theater group and developed a Broadway show that deviated from his writings and played up the latest in theatrical special effects. He tried later theatrical shows, but without the input of the Broadway team those fizzed. The earliest movies were silent, and Baum himself made some. He even developed a touring multi-media show that incorporated some silent films. Then the 1939 film version starring Judy Garland, though not considered a commercial success at the time, went on to become one of the most iconic and beloved American movies of all time. 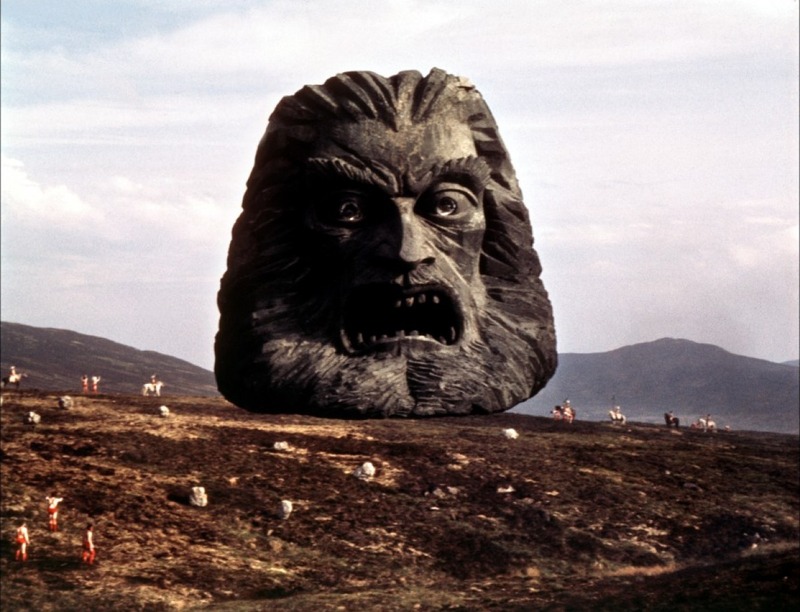 Other movies and shows followed, from The Wiz to Return to Oz. Spinoffs and related books continued to be made. Baum tried to pursue other work, but the financial rewards of the Oz series always proved too attractive, and he continued to write Oz books even after clear statements that the series was finished. If you notice a trend in the history of the Oz works it’s that they have been manipulated, contorted and exploited in every possible way, by Baum and others. There is nothing sacred about the Oz universe. But an interesting detail is that the biggest successes have be borne out of collaboration, first between Baum, Denslow and the George M. Hill Company, but later with the Broadway show, then with the Victor Fleming, Judy Garland movie with songs by Yip Harburg and Harold Arlen. So there’s a feeling that the entire enterprise is one that sort of invites reinterpretation and tinkering. Oz: The Great and Powerful is a big-budget “prequel” by Sam Raimi for the Disney company, which recently gave Lewis Carroll’s Alice’s Adventures in Wonderland similar digital-effects-laden treatment. While the Alice movie was a disaster, Oz: The Great and Powerful is actually quite good.